Without a strong foundation, your breathtaking smile won’t last. Even patients who practice sufficient home care may experience tooth decay, gum disease, or oral cancer. Through regular preventive visits and patient education, we can keep tabs on your oral health. Many patients don’t schedule dental appointments until they experience pain, breakage, or tooth loss. Finding issues early prevents them from turning into major dental problems, which saves you unnecessary time, expense, and pain. If you want top-notch dental care from a skilled, gentle dentist, consider Dr. Frank Salvato. Motivated by a strong desire to transform smiles and touch lives, Dr. Salvato offers patients one-on-one treatment and comprehensive dentistry. We strive to exceed patient expectations by delivering individualized attention, clinical excellence, and advanced dental therapies. With cosmetic, preventive, and restorative dentistry, Dr. Salvato will make sure your smile functions effectively and looks sensational. In 1996, Dr. Salvato took over this practice from his father, Dr. Frank Salvato, Sr., who opened the doors in 1961. For over 50 years, this practice has helped Westfield residents enhance and protect their smiles. Dr. Salvato has the expertise and vision to address any problems and revive your oral health. State-of-the art technology and modern dental services such as regular cleanings, Cerec Omni Cam one-visit restorations, and dental implants, translate into vibrant, enduring smiles. Passionate about dentistry, Dr. Salvato has built a reputation for diligence, integrity, and dedication to his patients. He develops lasting relationships with our patients so that he can understand their objectives and successfully update their smiles. We look forward to welcoming your loved ones into our dental family and partnering with you for lifelong oral health. Experience quality dentistry and exceptional care. 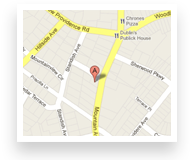 Call our Westfield dentist office to make an appointment with Dr. Salvato. Located in Westfield, our dental practice is convenient for residents of Mountainside, Scotch Plains, Cranford, and the surrounding areas.